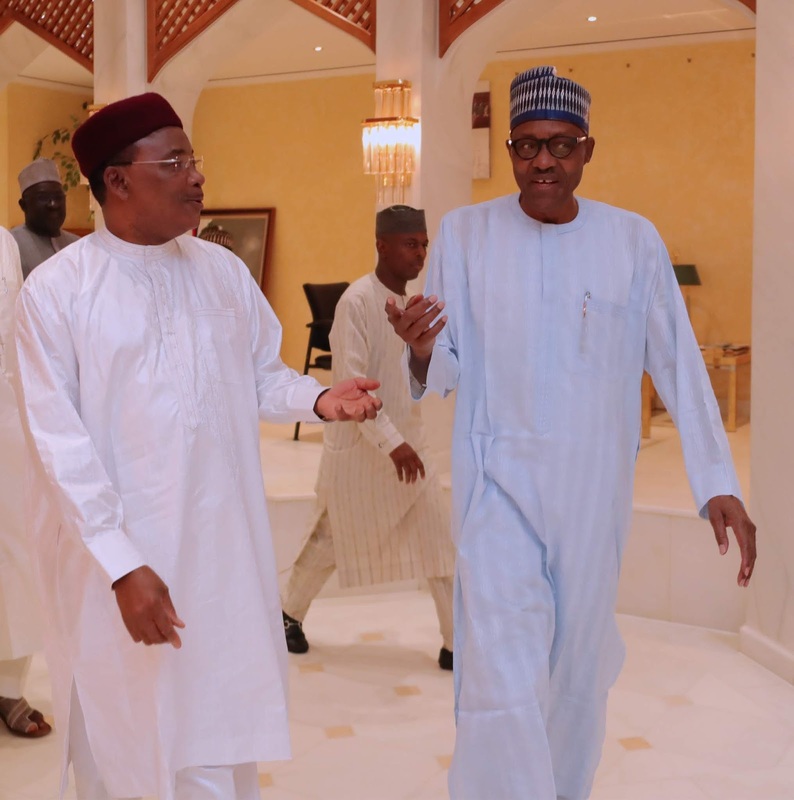 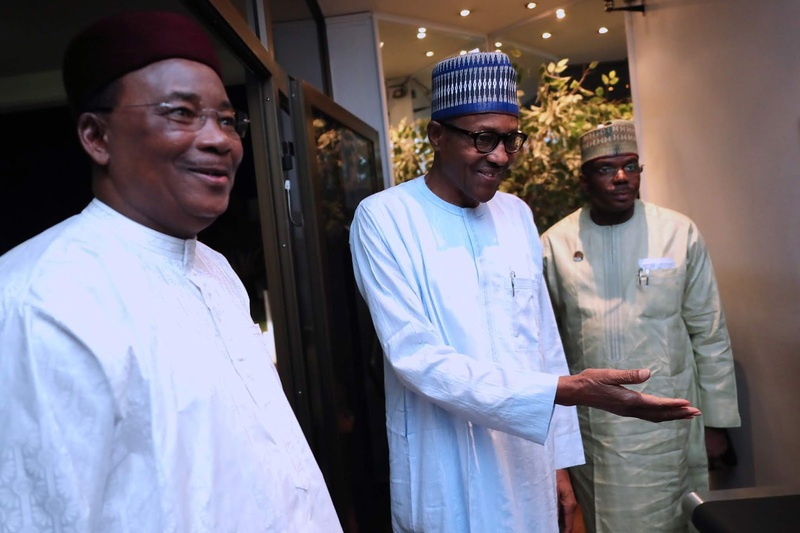 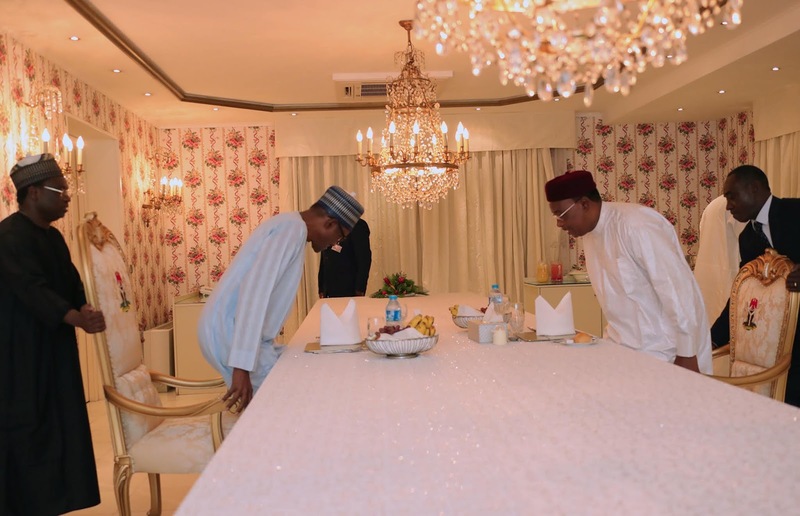 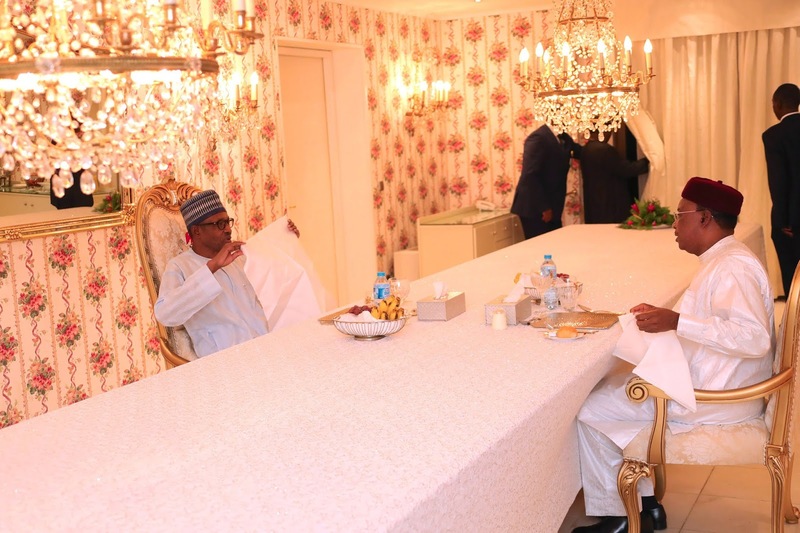 President Muhammadu Buhari received his Nigerien Counterpart, H.E Mahamadou Issoufu on arrival for a dinner at his residence Monday night at the Presidential Villa Abuja. PHOTO' SUNDAY AGHAEZE. JULY 23 2018.